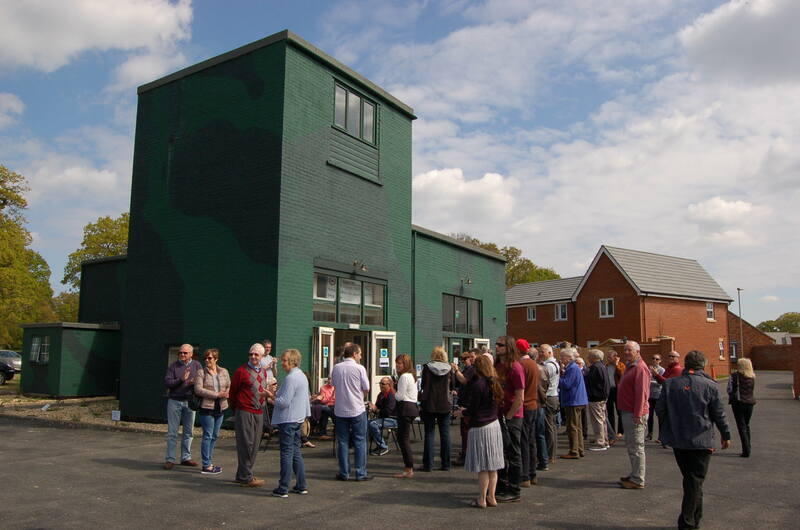 Sunday April 23rd was a ‘Red Letter Day’ for the new FONFA Museum. 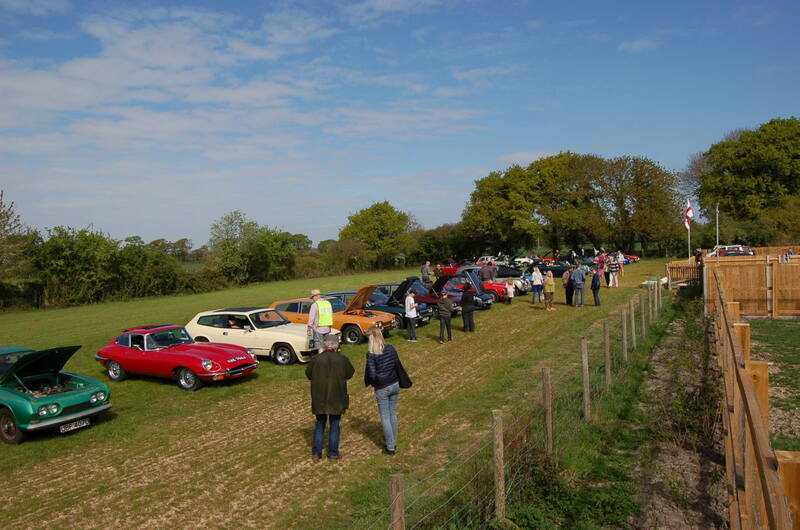 The Open Day hosted a Classic Car meeting, at which over forty five Classic cars visited the Museum for the first event of its kind, from 10 am to 12 Noon. 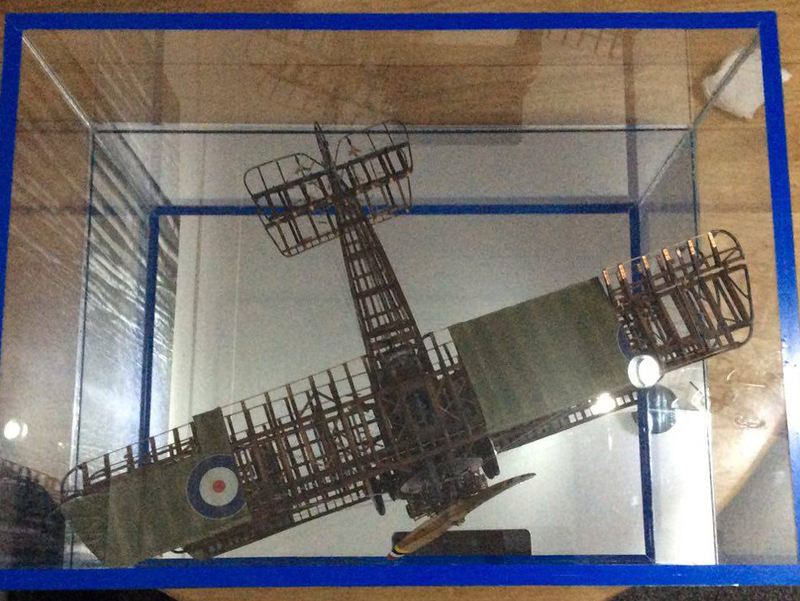 Before the Classic car meet, there was a presentation of a 1:16 scale model of a WWI Sopwith Camel fighter aircraft to the Museum by professional master model maker Kip Watson, who has donated the model to the Museum, to accompany our display about the East Boldre WWI training airfield. We are greatly indebted to Kip, who for many years has been a member of Poole Vikings Model Club. We hope that his generous donation will enable many of our young visitors to see and understand the complex and fragile construction of the First World War biplanes of a century ago and that this will inspire them to become engineers in the future. Many First World War pilots were trained at East Boldre, in the New Forest, before going on to fly from the airfields in France on the Western Front. 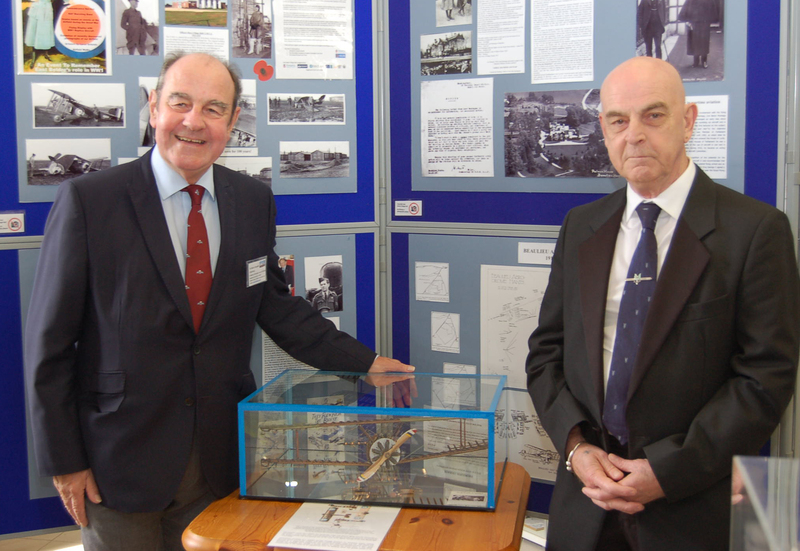 The model was gratefully accepted by Dr Henry Goodall, Chair of Trustees, (left) on behalf of FONFA, from model maker Kip Watson (right) below. 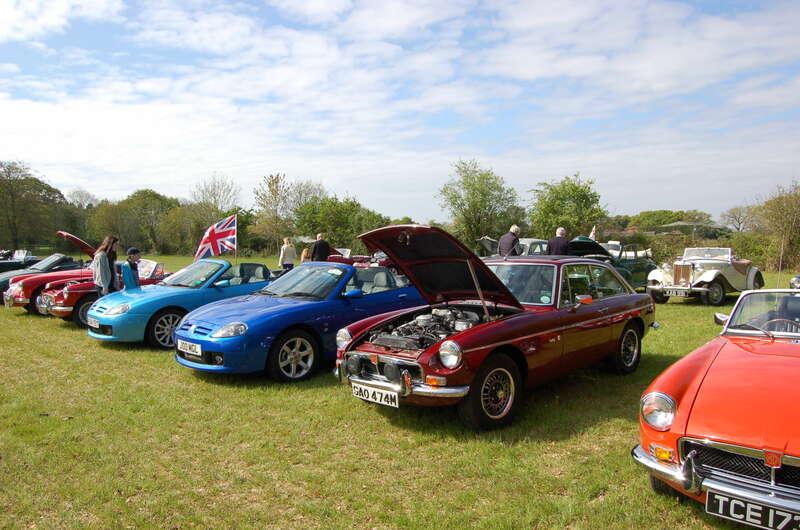 The Classic car meet was bathed in warm sunshine. 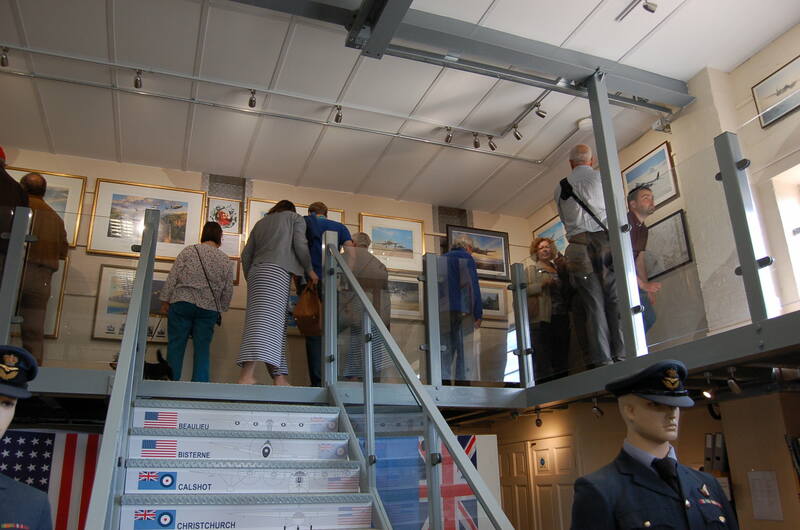 Owners and participants enjoyed a relaxed morning, plus a conducted tour of the Museum, before departing for lunch at the ‘Three Tuns’ in Bransgore and a road run in the afternoon. Several of our FONFA Members attended, acting as stewards and volunteers, to make the day go well. The Trustees are greatly indebted to all of them for helping to make the day a success. N.B. 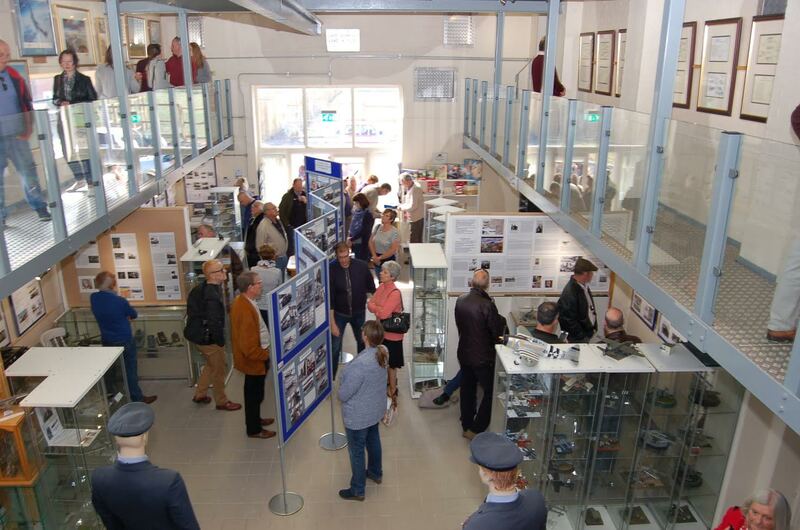 The next Open Days are on Sunday 21st May and on Sunday 28th May, when we will host a special ‘Spitfire Day’ and exhibition, with many related artifacts, including an original World War II Rolls Royce Merlin engine, due to be kindly loaned to us by the Rolls Royce Heritage Collection in Derby.